I was privileged to work with Felicia both in a group and on a one on one basis and both times were very rewarding. The first session within the group showed me the type of personality that I had and it surprised me how really accurate it was. Felicia has shown that she has the seasoned experience and is always willing to share her knowledge and expertise. This of course was evidenced through the up to date tools that were used to accurately uncover exactly where my strengths and weaknesses were. However, even when you were shown your weaknesses her gift of imparting optimism meant that there was hope that improvements could be made. In the one on one session, she provided the guidance and very constructive criticism, where necessary, by taking the time to go through the results and explaining their significance. I got a tremendous confidence boost as a result. This perception of yourself is really important if you are to step out to be who you were created to be, whether you desire to be better in business or are thinking of pursuing a new career path. Felicia not only speaks, but is a great listener as well and encourages you to be honest with yourself, admit any failings you may have, while skillfully giving you the opportunity to grow and change. 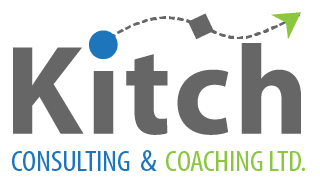 I would encourage persons to grab a hold of the opportunity to work with Kitch and become the person you know you were meant to become.